Leaves catch the drops before they hit the ground. Then mushrooms grow in the moist leaf litter below. 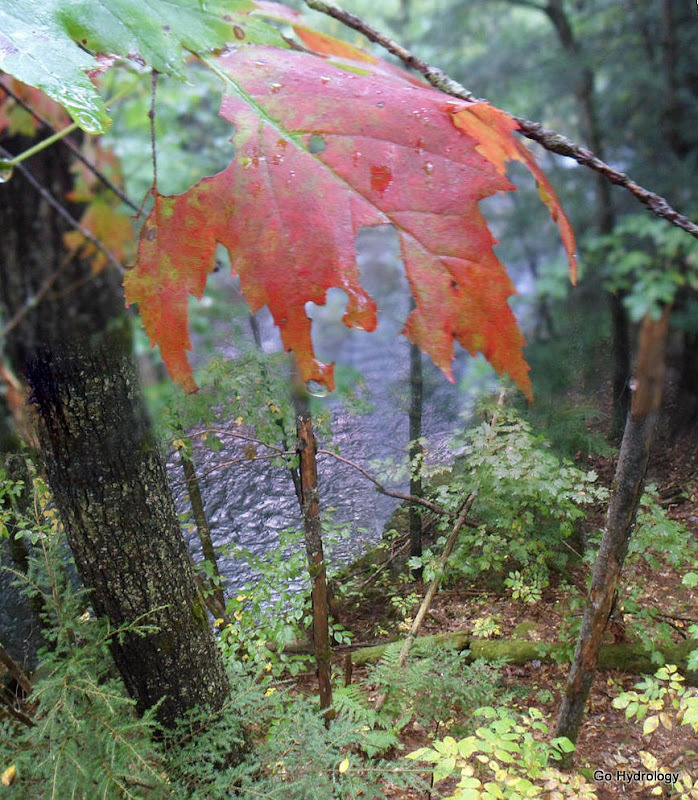 It's been a rainy fall in New England. That mushroom appears to be huge! The lush New England forest is beautiful. 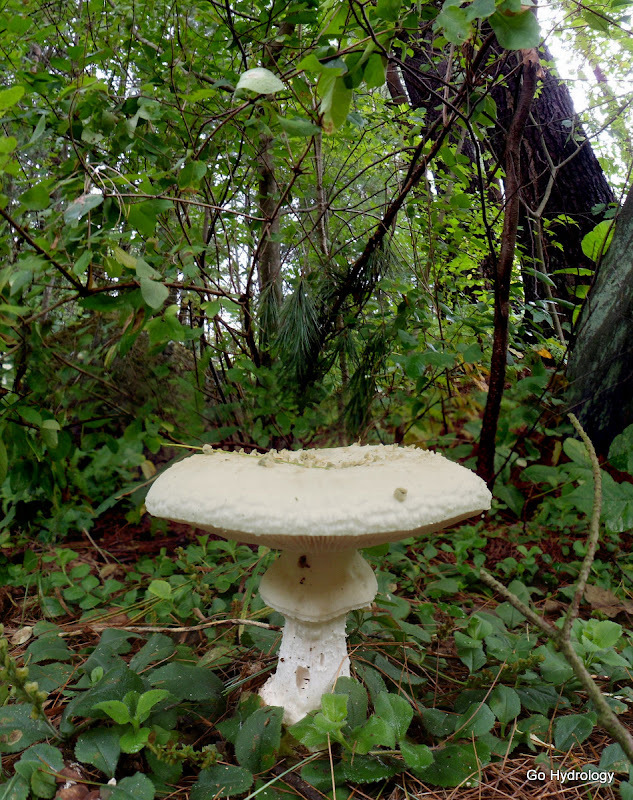 Never eat a wild mushroom unless you are an expert mushroom hunter. We saw a couple that were bright orange that were definitely poisonous.